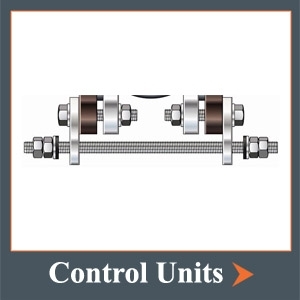 Control Unit: A control unit assembly is a system of two or more control rods (also known as tie rods) placed across an expansion joint from flange to flange to minimize possible damage to the expansion joint caused by excessive motion of the pipeline. 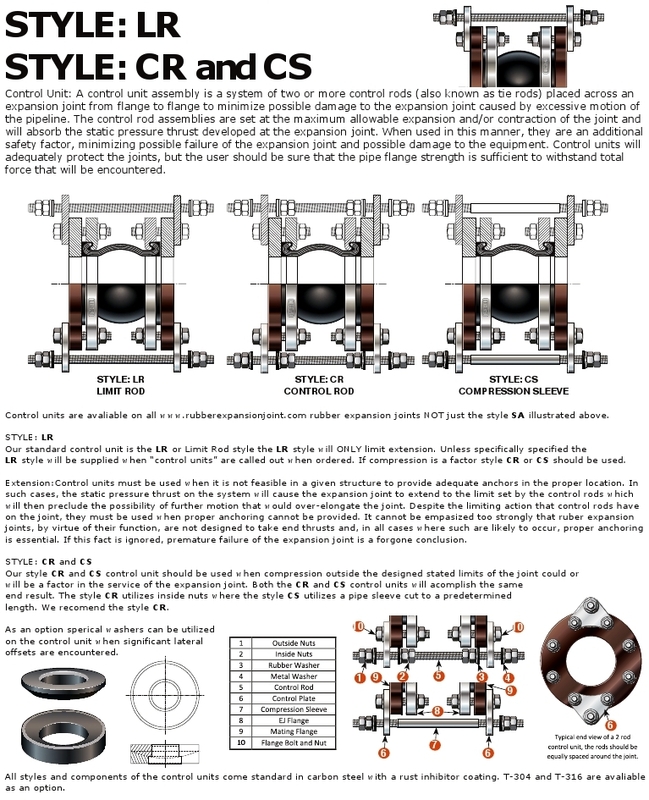 The control rod assemblies are set at the maximum allowable expansion and/or contraction of the joint and will absorb the static pressure thrust developed at the expansion joint. When used in this manner, they are an additional safety factor, minimizing possible failure of the expansion joint and possible damage to the equipment. 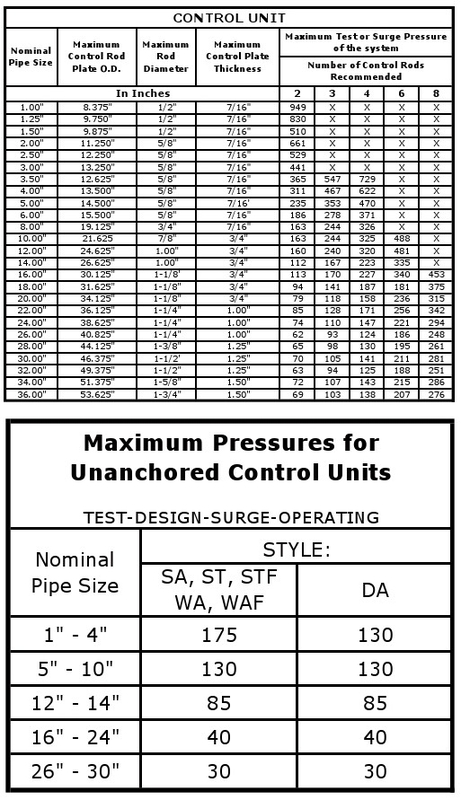 Control units will adequately protect the joints, but the user should be sure that the pipe flange strength is sufﬁcient to withstand total force that will be encountered.